Getting divorced can be painful, but it’s sometimes necessary for the emotional well-being of all involved. Child custody arrangements are a particularly difficult aspect of divorce that millions of couples struggle with. If you’re in the midst of a divorce involving children, then you should have a skilled family law attorney in The Woodlands represent you in your divorce case. It also helps to understand the basics of family law in Texas and the factors involved with child custody. The relationship that the child has with each parent is an important factor to consider when determining child custody. Mothers most often get primary custody in divorce cases, but not always. Courts look at which parent has historically been the child’s primary caregiver. The child’s personal friendships may also factor into a custody decision—especially if custody with one parent means taking a child away from those friendships. Each parent’s emotional and financial stability must be considered as well. The child’s best interests are the center point of any Texas court’s custody decision, and the parent best equipped to care for the child’s needs will likely receive primary custody. For example, if one parent has a history of drug abuse or mental illness, custody will more than likely go to the other parent. 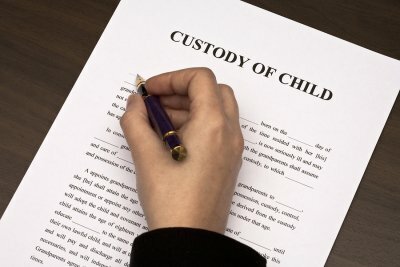 Many divorced parents share joint custody of their children. However, this may not be feasible if one parent lives in a different town or has a complicated work schedule. If it’s not possible for a divorced couple to share custody 50/50, then one parent may be given sole, or primary, custody. Texas courts want both parents to be involved in their children’s lives, if possible. If one parent has primary physical custody, the other parent should be granted reasonable visitation rights which fit within everyone’s schedule. Divorced parents may also negotiate independently for joint legal custody, wherein both parents are involved in making decisions regarding the child’s education, religion, healthcare, and other matters. When a party is required to give testimony in divorce court it is usually because there’s an argument over one of two questions. The first is child custody, and the second concerns property division. If you listen to your lawyer, you often will hear the same piece of advice given about any type of courtroom testimony. It usually goes as follows: “Answer the question given to you, and only the question, do not elaborate.” An analogy: Only a little water will clean you up nicely–too much of it and you are likely to drown. Lawyers do understand that there’s a huge temptation to give the full story in response to a single question, but the more you speak the more ammunition you may give your opponent. To summarize, why assist the opposing lawyer in looking good? Keep it short! Second, if you have made a huge mistake in life, do not volunteer it, but simply fess-up when asked. Trust me, if you’ve screwed up royally, the opposing lawyer has a witness who will remind the Court, and everyone else, what you did. It is always easier if you are the one to do it first, not in a dramatic way, but merely as an acknowledgement of human frailty. In short, if you are seeking custody and have had a drug problem, it will hurt you, and perhaps it should. But lying about it only to have a cop get on the stand afterwards, and talk about your long rap sheet will do much worse for you than simply admitting the problem yourself. Third, never ever say on the witness stand: “You can’t prove it!” Or perhaps, “It’s my word against his/her’s.” The translation of these words to the Judge is: “Heck yes I did it Judge! But I’m not going to tell you that here!” The result of such testimony is the same as an admission of guilt, only worse. Finally, always adhere to this advice: If you don’t know the answer to a question, then say that you don’t know–don’t speculate or guess! This advice applies even to things that you should know! Speculation gives the opposing party a chance to show the Judge that your testimony is unreliable. For example, you are arguing over custody of your third grade daughter and the opposing lawyers asks, “who’s your child’s homeroom teacher?” If you don’t know then say it; don’t blurt out “Smith!” Yes, not knowing hurts but judges understand that lawyers’ cross-examination questions are intended to hurt. In this scenario, your own lawyer might well come back and say “Well he doesn’t know the homeroom teacher, but he knows the names of the gym teacher, principals, ARD advisors, and every physician she’s ever been to!” That’s an ideal recovery to a missed question. So the underlying lesson to be learned here is: be prepared! Proper Prior Preparation Permits Peak Performance! Putting together a will is one of the most important things you can do for your family members. A clear will can make your wishes known–and enforceable–in the event of your death. This reduces the likelihood of a lengthy legal struggle among your heirs. Andrew J. Bolton, Esq. 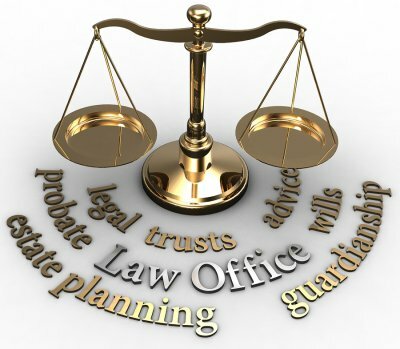 , a probate law attorney in The Woodlands, can help you organize your will and ensure that your loved ones are taken care of after you’re gone. Before you start work on your will, it’s important you understand the truth behind a few persistent myths. You’ve likely seen stories in the news about long, costly legal battles over inheritances. Though some large and complex estates may take years before they’re fully settled, this is far from the norm. Most of the time, it only takes a few months for inheritances to be distributed. The clearer the will, the more quickly the probate process will go. After a person dies, property in his or her name must go through the probate process before the property can be transferred to a beneficiary. Some individuals dread the probate process because they think court and legal fees will take up a large portion of the estate. However, court fees and lawyer’s fees often add up to less than a few thousand dollars. 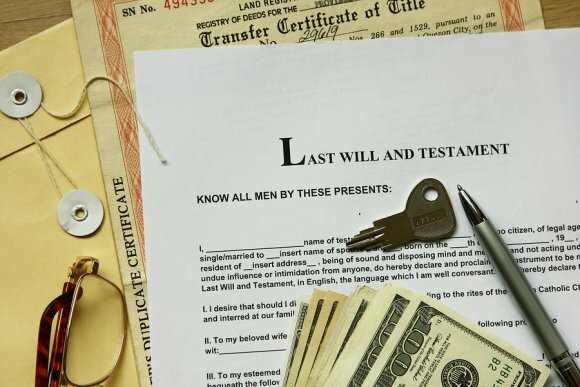 Perhaps the most common misconception is that the state automatically owns the property of a person if he or she dies with no valid will in effect. In fact, there are several legal contingencies that exist for just such an event. Depending on the family configuration, the money may go to the deceased’s spouse, children, or parents. That having been said, the deceased’s assets actually do go to the state where there are no family members to be found.